Soft rubber handle and steel knife. The edge is sharp, the edges are fillet protected, reducing the damage to stickers and hot beds. Can help you easy get the prints off from the build surface. It will not scratch build surface. An essential addition to your 3D printer tool kit. High quality stainless steel, heat treatment, high hardness, good elasticity, durable and durable. Rubber handle is anti slip for comfortable grip. Designed by a 3D Print enthusiast for professional results. Face it, 3D filament and accessories are expensive. Don’t risk damaging equipment or wasting precious filament when removing project. 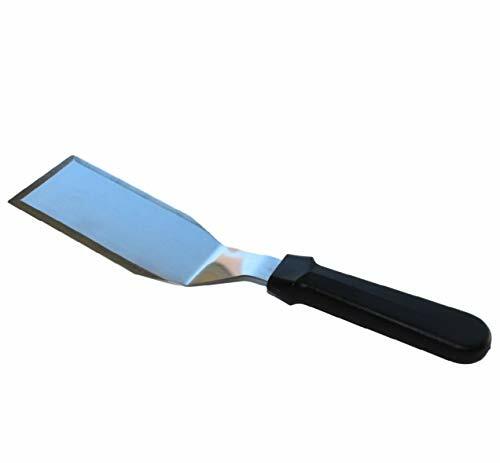 Our durable, stainless steel spatula removal tool was designed with a fine leading edge, to easily slide under your print job. 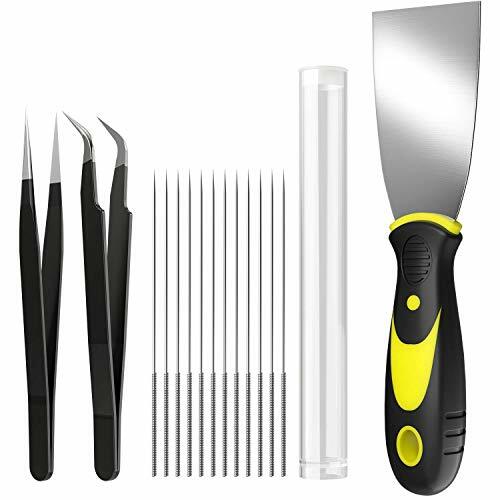 Stop chiseling or forcing your project off the build plate with an inferior putty knife!This is the tool you’ve been waiting for! SHARPER LEADING THIN FRONT EDGE -Ditch the Putty Knife. 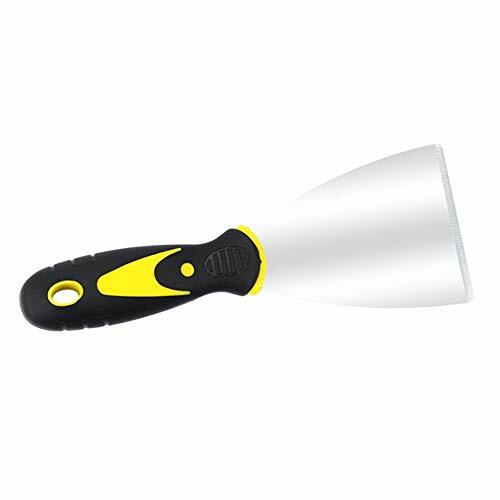 This 3D accessory reduces damage, time sanding, and filing. Designed by a 3D print enthusiast for professional results! SLIDES EASILY UNDER THE PRINT -Our spatula’s smooth fine edge takes the risk out of lifting delicate prints and angled handle for easy lifting. LARGE SERVICE FLAT BLADE – to manage small and large print jobs. One tool does it all! MADE OF RIGID STAINLESS STEEL -We’re confident our scraper will be your new favorite tool that we’ll back it with a lifetime warranty! If you’re not completely happy, then we’re not!